By Matt Reimann. Aug 2, 2015. 9:00 AM. Turning 73 years-old this August, Isabel Allende (pronounced ay-yen-day) is one of the last active members of a talented generation of Latin American writers. Born in Chile in 1942, she now resides in California. She worked as a journalist, fiction writer, and has founded her own charitable foundation. Here are some interesting facts about Isabel Allende, a writer whose kindness and humane sensitivity make an inspiring example of who the modern artist can be. Salvador Allende’s election seemed like a new era for Chile. His policies favored the neglected and aimed to empower many of the disenfranchised of the nation. However, the United States viewed Allende's administration as just communist enough to deserve a coup d'etat. The CIA was determined to undermine the new government, and in the words of President Nixon, it worked to "make the economy scream." As the rebels gained ground, Salvador Allende barricaded himself in the presidential palace, where he died. Augusto Pinochet's dictatorship took over, and amid hostility and death threats, Isabel and her family fled to Venezuela for safety. Allende’s mother is twenty years older than her, and is very much alive and kicking. The pair write each other every day, keeping a modern correspondence that often includes email and Skype. Whether her mother's letters come by post or email, Allende archives them on paper and keeps them readily referenceable in her house. Allende’s first novel, The House of the Spirits, was born from a letter she wrote to her dying grandfather. The date she began this letter, the eighth day of January, has since been the date when she starts a new project. She says she keeps this policy not only out of superstition, but discipline as well. It also has a convenient placement at the end of the holiday season. Allende, forced out of her native Chile after the coup, has declared herself a perpetual foreigner. She knows well exile, flight, and transience. Although she has sold 56 million books worldwide, she did not begin writing The House of the Spirits until she was almost forty. She worked as a self-proclaimed lousy journalist and felt occasionally like a failure before she began writing fiction. Her career had another terrible period when her daughter, Paula, died from a strange neurological condition in 1992. While this period of grief was depressive and harrowing, it led to the memoir which carries her daughter’s namesake. Many consider Paula her finest book. Hampered by a terrible writer’s block following her daughter's death, Allende went to India. A life-changing moment occured when her guide’s car broke down on the side of the road. An old acacia tree caught her eye, and beneath it she noticed a half dozen women with children. Not knowing the language, Allende and her friend approached the women, communicating by touching jewelry, and the tourist’s dyed hair. Allende gave the women the silver bracelets she was wearing. After the exchange, Allenda and her friend returned to the car. One of the women followed after her with a parcel. Allende at first thinking it was a gift in return for the bracelets, discovered inside a newborn baby. Its umbilical cord was still attached. Their tour guide soon intervened, giving the baby back to the reluctant mother. Allende, shocked by this odd interaction, asked the guide why the woman had done that. The guide said that it was because the baby was a girl, and no one wants a girl. 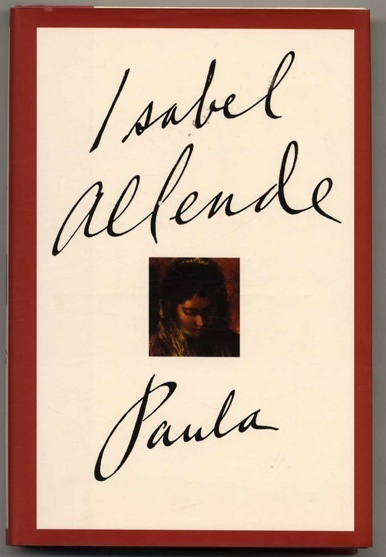 Since that moment, Allende has founded her own charity, The Isabel Allende Foundation. Funded by profits from her books, the foundation aims to empower women worldwide by protecting them from poverty, disease, and violence. Allende affectionately calls her place of writing her casita (roughly, "little house"). While she writes on an Apple desktop computer, she keeps her first typewriter, which was used to write the letter to her grandfather that started it all, on a shelf. On her bookshelves, she keeps a first edition of every one of her books, in every language it has been printed in. 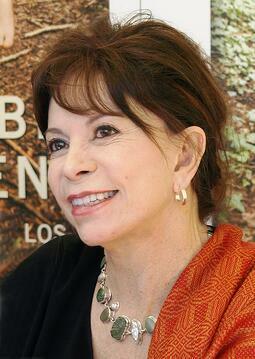 For a foreigner, Isabel Allende has made herself a very nice home.